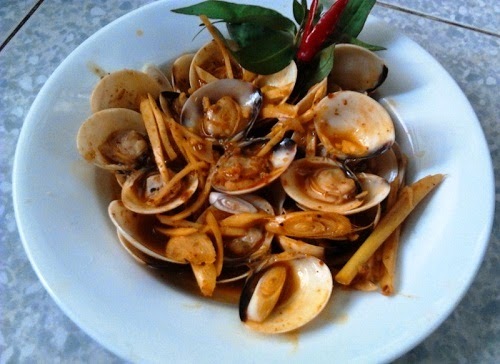 Stir-fried Hard Clams Home-cooked Style (Nghêu Xào Tại Nhà) is Traditional Vietnamese Food based on one fishermen village that I cannot in the middle of Vietnam. Sometimes, a little bit of chili is added to make it spicier. Clams are treated no different. Some might say that cooking seafood in tomato sauce masks the natural taste and sweetness of the fresh seafood, but some say that it’s an unforgettable experience sucking up the delicious tomato sauce from the seafood. Well, we cannot please everyone, can we? I decided to cook this Traditional Vietnamese Food on last Saturday in tomato sauce because, well, that’s about the most suitable ingredient I could lay my hands on in my kitchen. I didn’t have curry powder or leaves and that means cooking kam-heong style is out of the question. Besides, it has been a long time since I had seafood home-cooked style and this was one golden opportunity to whip up something quick and simple. Before this Traditional Vietnamese Food, you will need to give it a good rinse. Rub or scrub the outer shells and place them in a deep bowl. Submerge them in tap water for 2 minutes before draining them. Do this a couple of times until you are fully satisfied that there is no more mud or grime in the lala clams. 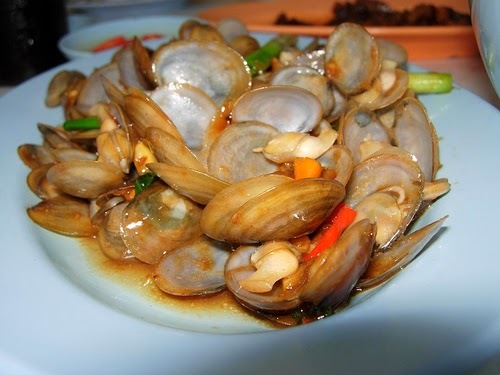 One trick is to drain the water completely and leave the clams in the bowl for 10 minutes. The lala clams will open up slightly until you can see the flesh. When you rinse it with water, they will spew or cough up the mud within them and clamp up. Repeat the process. That’s how I rinse and clean the fresh lala clams which I bought. Heat the work before adding oil. Add ginger and garlic and sauté very quickly. 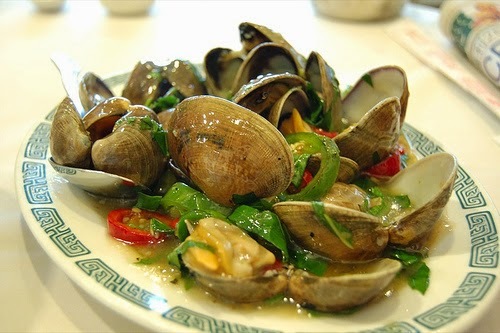 As the ginger and garlic starts to give its aroma, add clams, water and seasoning. Finally, stir well before covering the wok. Allow to cook for 30 seconds. Open lid and stir again. Repeat process until the clams have opened up indicating that they are cooked. Finally, add scallions and stir well before dishing up. Now you can enjoy this Traditional Vietnamese Food. Hope you love this post and have a nice day.